Pancit, Paneer, and Ponzu- Dining Diversity, YEAH! We returned to our home state about five years ago after twenty years and three states. One of the best things about being back, besides returning to family, is that we are back in the land of diverse dining options! Central Pennsylvania and Indiana had great restaurants, (Facia Luna and Three Sisters come to mind, respectively) but when you go into a grocery store intending to make salsa, ask in produce where the cilantro is, and get a puzzled look in return… you know you are in for some bleak years. Penn State students celebrated when Taco Bell arrived in town. Back in The Southland, it seemed that we patronized strictly the little taquerias, with an occasional In-N-Out stop. I could have eaten tacos every day… and at times we did! After about a year the kids were fed up with our limited dining-out diet and we moved on to more variety, but we really didn’t branch out too far. Japanese, mainly (yum!). We live smack in the middle of a huge Vietnamese, Chinese, Korean and Indian neighborhood. Half of our church is Filipino, with a monthly pancit and lumpia sale- it doesn’t get any better than this! 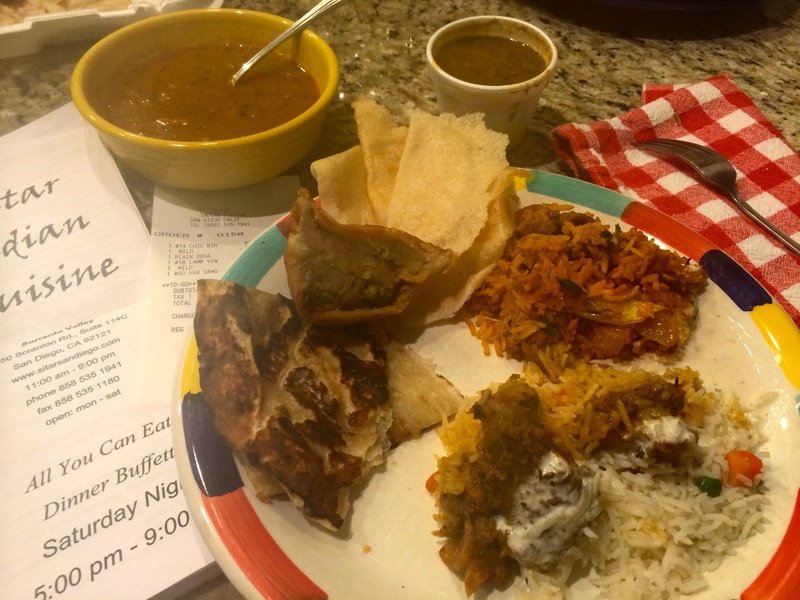 Wednesday nights are a good fast-food night for us, and tonight we are branching out to Indian Food! Sitar, buried in a little Sorrento Valley food court, was highly recommended. Check them out here: http://www.sitarsandiego.com/menu.htm Vetted by my Indian neighbors, it should be great (no pressure on you, Raja, har). Yum. Dinner for me, and it was great! I liked the Lamb Vindaloo best, and the Samosas were delicious. 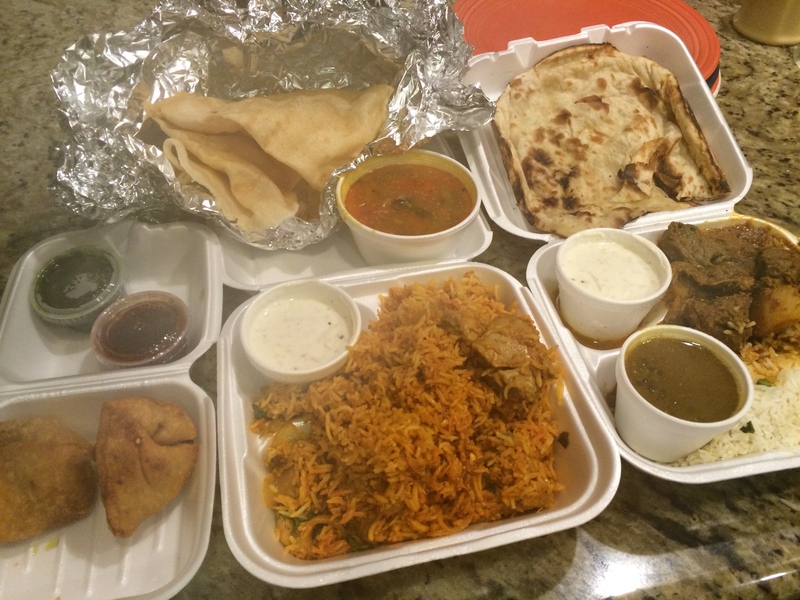 Posted on January 14, 2015 March 4, 2015 Categories Food and DrinkTags Chicken Biryani, Indian Food, international dining, Lamb Vindaloo, restaurants, Samosas, Sitar Indian Food, Sorrento ValleyLeave a comment on Pancit, Paneer, and Ponzu- Dining Diversity, YEAH!